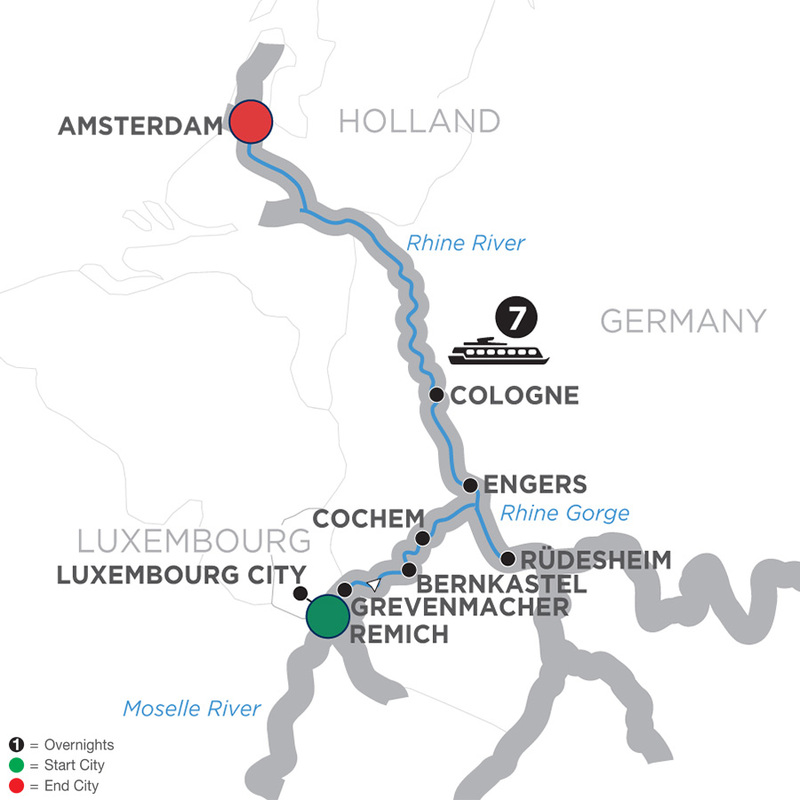 Experience France, Luxembourg, Germany, and Holland on this fantastic river cruise vacation. Your adventure starts with two overnights and guided sightseeing in Paris, the incomparable “City of Light.” Take the high-speed train from Paris to Metz or Luxembourg City, then travel to Remich to board your river vessel. Enjoy guided sightseeing in Trier, the oldest city in Germany, and Düsseldorf. Cruise through the dramatic Rhine Gorge—the most beautiful stretch of river—and pass the legendary Lorelei rock. Visit a local wine cellar in Bernkastel, Reichsburg Castle in Cochem, and Siegfried’s Mechanical Musical Instrument Museum in the pretty wine village of Rüdesheim. Conclude your vacation with a canal cruise in Amsterdam, and time to explore on your own. Day 1 Paris, France. Welcome to Paris, France’s capital on the River Seine and the “City of Light,” where romance fills the air!